Affordable housing has been one of the most debated development issues over the last decade. That’s great because the numbers show it’s the most important factor to facilitate rural-urban migration and overall development. Developing democracies like India are urbanizing at a furious pace; over the next 16 years about 250 million people are expected to move from villages to cities in India alone. This is a huge opportunity to increase productivity and the standard of living, a phenomenon likely to be repeated in other developing countries across South America and Africa. Along with food, health care and education, housing remains the most basic of requirements. Approvals: The development rules for new building are archaic and ambiguous at the best of times and this leads to rent-seeking opportunities. Added to this are the huge delays in getting permissions and liaisoning with multiple departments. At last count – in the city of Rajkot where our pilot project is based (more on this below) – over 30 separate permissions were required. This is a systemic risk in most countries, but much more so in developing countries. A flawed business model: The business model for housing development has become seriously flawed over the last decade. Developers have an incentive not to sell and build in the shortest time. I’ve observed instances in India, Sri Lanka and multiple countries in Africa, in which property prices have risen by nearly 50 percent in less than a year. Overstressed balance sheets: Most developers work on the land banking model, and usually the money meant for construction is siphoned off to acquire more land, leaving ongoing projects stranded. This dynamic has become the norm rather than the exception in India among the leading builders. A number of studies (Monitor Deloitte, KPMG, McKinsey Global Institute, Indian School of Business, Institute of Financial Management and Research, to name just a few) have concluded that construction technology at a micro level is the bottleneck. Meanwhile, a large amount of philanthropic and seed capital has been deployed to address this issue. While they may be well-intended, many of these initiatives are based on a misguided premise. Building with “local” materials and unskilled labor is simply not viable to achieve real impact. First, clear land titles and basic infrastructure need to be in place to even address the problem of construction, and without scale, creating infrastructure is not viable. Clearly, people moving into permanent structures don’t want to deal with mud or bamboo walls – they want to move away from slums and temporary structures where those materials are commonplace. Studies have shown across the world that they aspire to conventional brick and mortar or concrete structures. The key is to build fast, to scale and efficiently find funding for these buyers, and to get the cash flows in place. The Planning Commission of India, the World Bank and McKinsey have put India’s housing deficit at 24 million housing units. I think this is underestimated, but even this is huge – and it’s increasing by 3 million units a year. The supply coming in across all segments is less than 200,000 units a year. Digging deeper, there is a deficit of nearly 22 million units in the economically weaker section category – families earning less than INR 5,000 or USD $85 a month. This is a segment that needs housing that costs them not more than INR 1,000 or USD $15 a month. (In my view, this segment of the market should be ideally termed as a demand for shelter rather than homes. It requires massive governent intervention and subsidies). The remainder of 2 to 2.5 million units is largely in the low-income group category, or families earning about INR 15,000 or USD $250 a month. This population can afford to pay INR 5,000 or USD $85 a month and represents the core market that needs to be serviced. This segment, which can be defined as “homes” or those units priced at INR 300,000 to 700,000 (USD $5,000 to $11,000) are what I term the low-cost market, and INR 700,000 to 2,000,000 (USD $11,000 to $30,000) are the affordable market. The positive takeaway, however, is that the increase in demand for homes (the 3 million a year) will be skewed more towards the USD $10,000 and above segment – more people will migrate from shelter to homes, and the inter-urban migration from tier II and III to larger cities will also be more biased towards that segment. How does one crack it? Can the low-cost or affordable housing business in fact be profitable, and more importantly, scalable? This brings the whole matter of context into the conversation. The price points are all contextual. That is, what you can deliver in an industrial zone bordering a city of 1 million is not what you target in a place like Mumbai, Delhi or Bengaluru. This is a very viable business model and we have proven it by commissioning three pilots in different parts of the country; in Rajkot and Vapi in the state of Gujarat, and at Rewari in the state of Haryana, which is part of the National Capital Region. The projects involved around 250 homes each with prices starting at USD $5,000. They sold fast, were delivered fast and have been occupied for nearly three years. 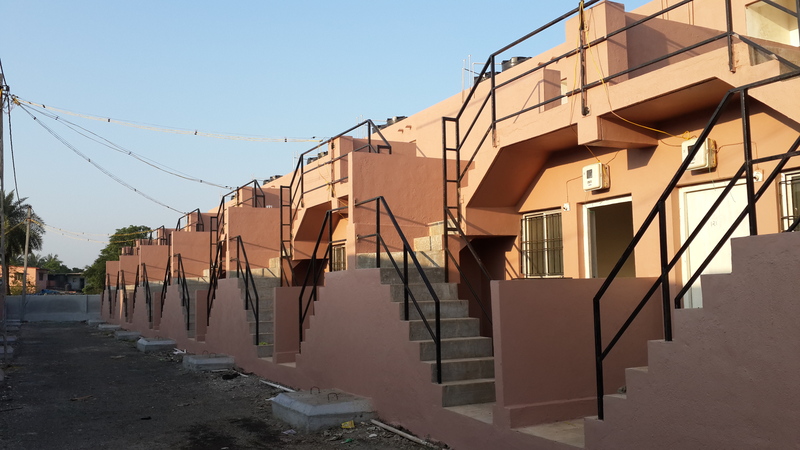 A 2014 impact evaluation done by the Indian School of Business, the Rand Corporation and the Rockefeller Foundation for the developments in Rajkot shows that quality formal housing that is available at a reasonable price has a huge impact on people’s lives. Even the homes owned by investors create a large pool of reasonable rentals, which even address the issue of providing shelter. What the study hasn’t highlighted are the misconceptions of high risk for lending to this segment. We documented more than 250 loans spread over two projects by housing finance companies and banks lending largely to the informal sector – and there has not been a single default over the course of three years. This is a critical statistic that shows that the risk to the lender in this segment is significantly less than it is with mainstream loans. Subsidies in terms of interest rate interventions and longer tenure loans can further open up this market and reduce risk. However, the key to building this market comes from the developer perspective. Yes, we are launching more projects both in tier II cities and metro areas, so we do plan to make money. But it is nowhere near what developers make in middle income or luxury housing. The two business and operational models presented in the impact evaluation are totally different, but both are profitable and scalable. They can be replicated in a number of other countries, even the developed ones. And there are very simple government interventions that will make it faster to market and easier to scale, though advocacy is lacking. I believe that the case studies and reports on the projects demonstrate just how much potential these models have in combating the housing deficit we face today, and will face in the future. Dhaval Monani is the founder and CEO of First Home Realty Solutions, a leading low-cost housing provider in India, South East Asia and Africa.